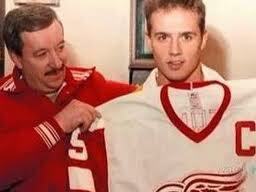 At the 1983 draft, the Red Wings were going to pursue Pat Lafontaine instead of Stevie Y. 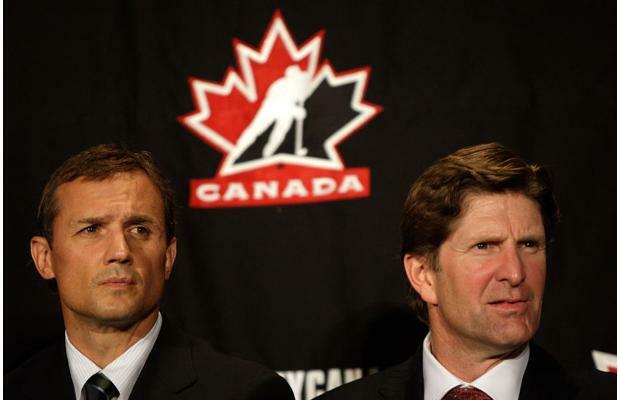 They had the fourth overall pick in the draft and the New York Islanders had the third. The Isles took Lafontaine and so Jim Devellano, who was our general manager at the time, decided to take a chance on the 18 year old from Cranbook, B.C. 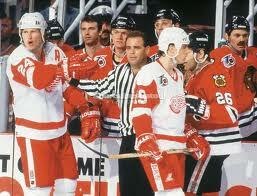 On October 7th, 1986 at the age of 21, Stevie Y was named the Captain of the Detroit Red Wings. 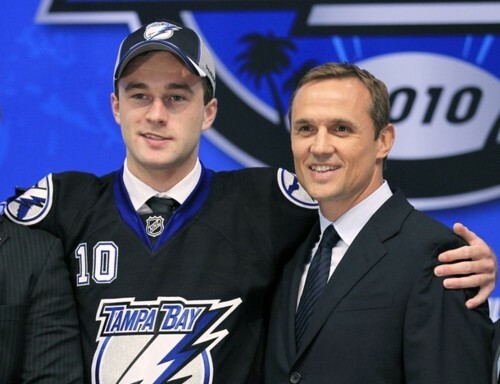 On that day, he became the youngest Captain in franchise history. 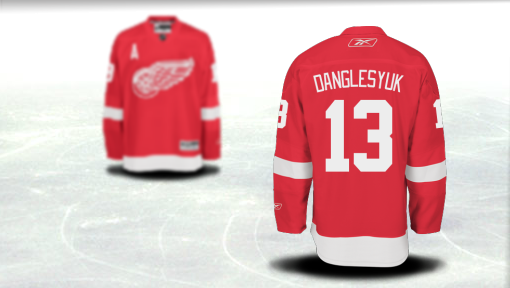 Next season, he led the wings to their first division title in 23 years. Throughout his career, he proved why he was the right person to don the “C.” His teammates always considered his leadership cool, calm, and collected. 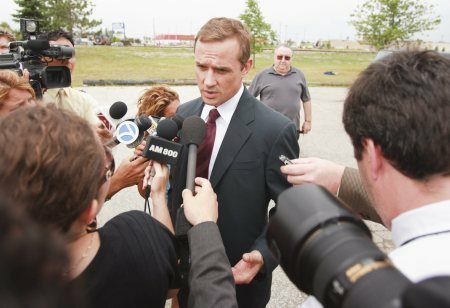 He always seemed to be uncomfortable when people recognized and praised his leadership abilities and talent. Stevie chose to lead by example instead of giving hour long locker room speeches. In my opinion, that is part of the reason he was such a fantastic leader. 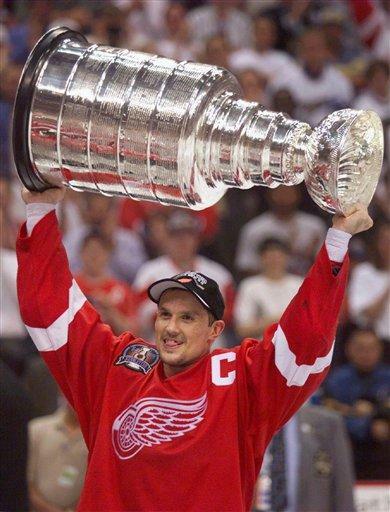 Stevie holds the NHL record (20 years) as the longest serving captain of a team in the league. Scotty Bowman became the Red Wings coach in 1993. He wanted Stevie to play more of a defensive style of game. At first Stevie resisted, but then he “tried it out” and became a better defender and eventually evolved into one of, if not, the best two way player ever in the game. Some say that Datsyuk wouldn’t be the player he is today if it wasn’t for watching and learning from Stevie Y’s style of play. This is the most memorable part of Stevie Y for myself. 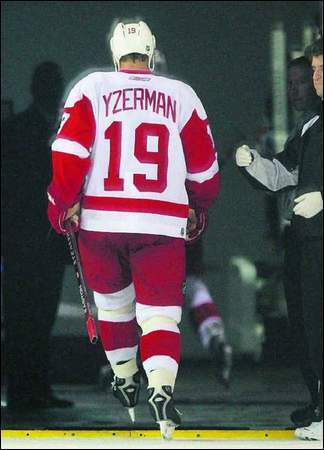 Throughout the 2001-02 season, he was having many health problems, specifically with his knees. 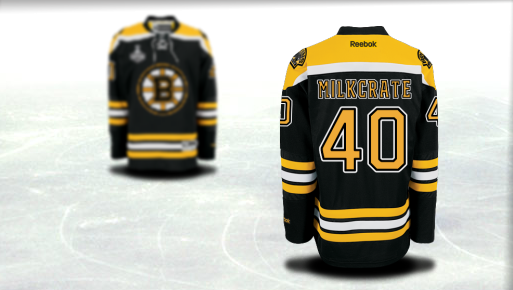 When it came around to playoff time, he could barely skate, but he did. 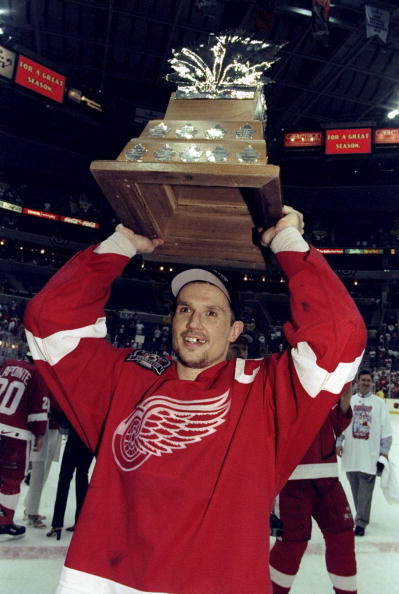 I remember Brendan Shanahan saying that Stevie would come up to him during the playoffs and explain what he could and couldn’t do. 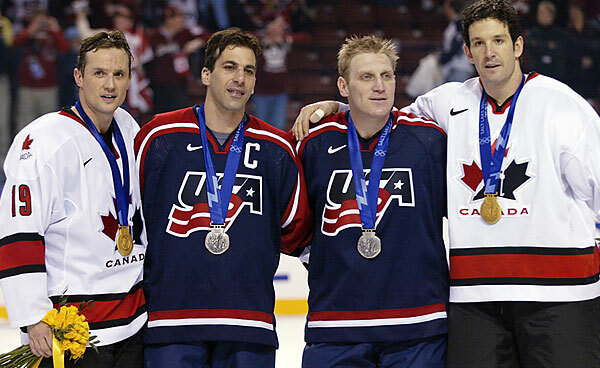 “But then, you realized when you watched him, there wasn’t a lot that he couldn’t do,” Shanny said. And there really wasn’t. He had so much drive and determination that nothing could really stop him. The next season, he was forced to miss over 60 games after undergoing a knee realignment surgery. Stevie was always a leader and role model in the community. He supported many charities and was influential in the Christmas trip to the Detroit Children’s Hospital. There are so many articles about Stevie’s charity works. More than half of them make me want to cry, and some of them in fact do. I’ve listed one of the articles that was most touching. Stevie also would always take time for fans after practice/training camp/whatever the occasion. 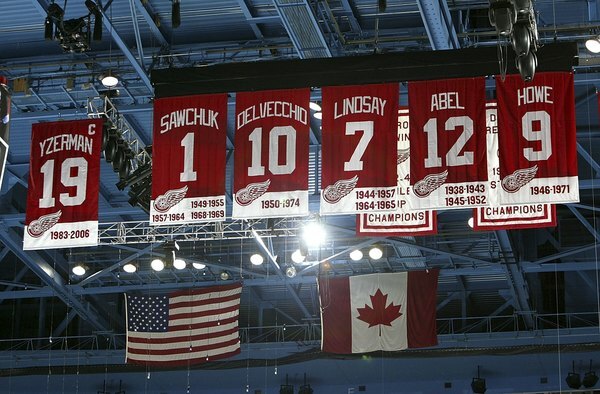 I have never personally been to the Red Wings training camps, but I know many people that have and their stories are always the same. Stevie would come outside and start his way at one end of the line and work his way to the other until every fan had their autograph and picture. This is a quote from the Ilitch family reguarding Stevie’s departure from the Red Wings’ organization to the Lightning’s organization. “This is not easy. We’re having a difficult time, frankly, because Stevie’s been with us from the start and we consider him part of our family. 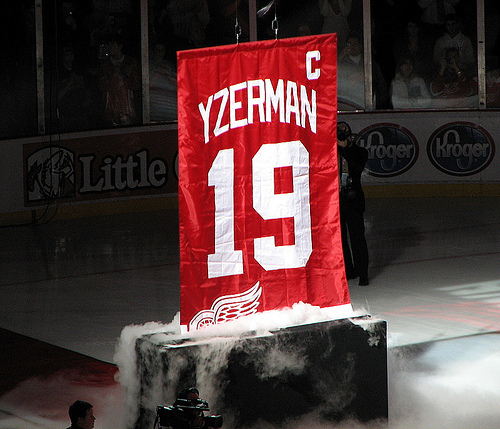 We drafted him as a young and shy 18-year-old – just a year after we bought the team – and he has been part of it all: the ups and downs, highs and lows, the Cups, the celebrations, really everything Red Wings over the last 27 years. We watched him grow and develop over the years into a Hall of Fame player, a wonderful husband and father and now, a very capable executive. We appreciate all Stevie has done for us, our organization and this community, and we wish him all the best. 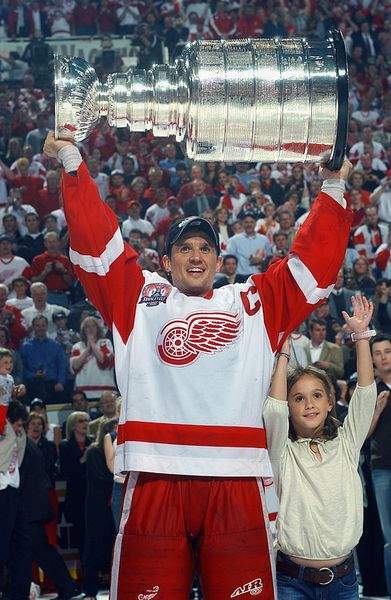 Stevie Y will always be a Red Wing and he’ll always be in our hearts.”* It was hard on any true Red Wings fan, but I think we all agree that Stevie deserved that opportunity. And he proved that. 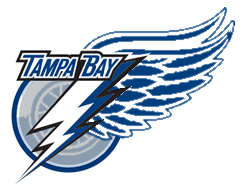 The previous season the Lightning finished 25th in the league and had not made a playoff appearance since 2007. 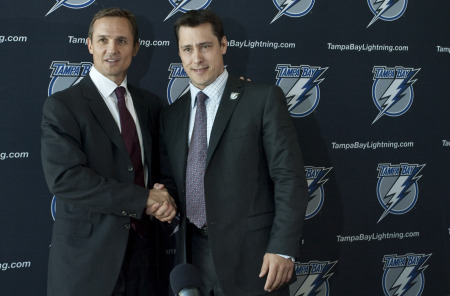 Then Stevie takes control, makes a few adjustments including acquiring veteran goalie Dwayne Roloson, and they finish eighth in the league and make it to the Eastern Conference finals. 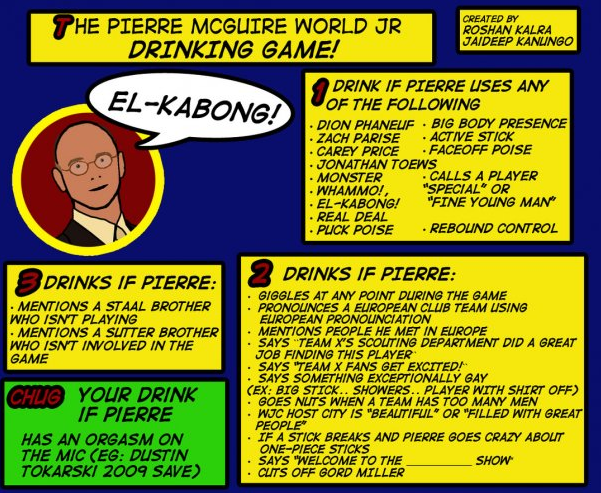 He was up for the General Manager of the Year award for his spectacular “rookie season”, but lost to Mike Gillis of the Vancouver Canucks. Also received four different medals through the Canada Cup and World Championships. 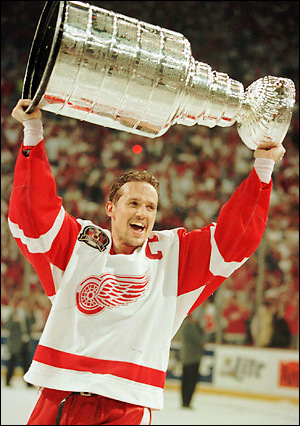 We now say that Nicklas Lidstrom is the “perfect human” but if you look back on Stevie’s career, he truly was. He was a model captain, player and friend. 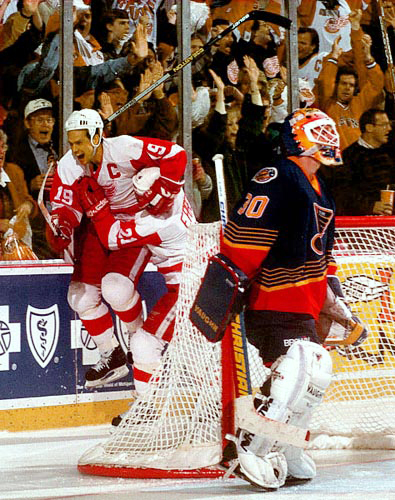 I remember reading in Bob Probert’s book Tough Guy, that when Probie was playing with the wings and going through all his “troubles”, he would always look forward to talking with Stevie. He knew that Stevie would never look down on or degrade him, like so many did. That was just the kind of guy Stevie was and always will be.